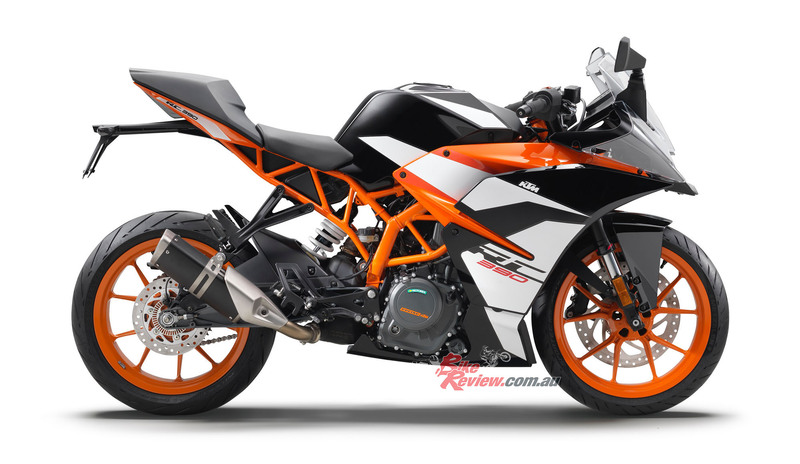 The KTM RC 390 came out in 2014 as a mini Moto3 sportsbike version of the Duke. 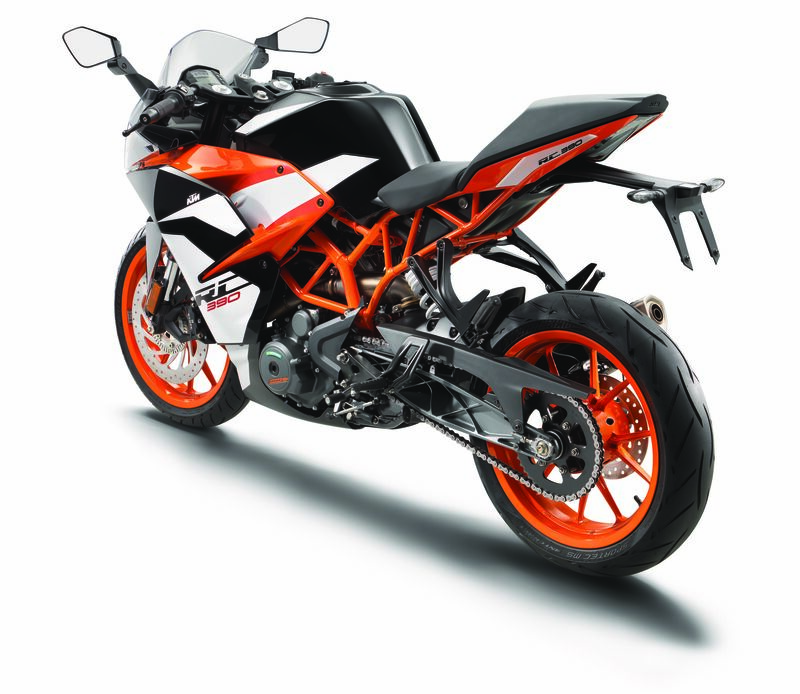 It shares the same chassis and engine as the 390 Duke, with slightly different geometry, such as 33.5 rake instead of 35º and 88mm trail rather than 95mm. 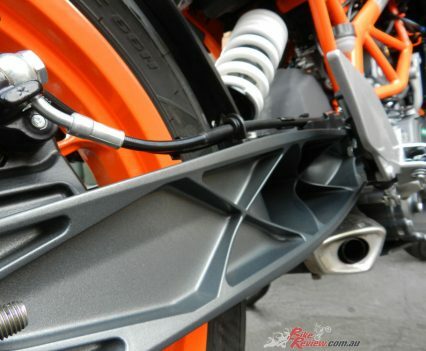 The wheelbase is also shorter by 17mm, and the bike offers a vastly different riding position due to the sportsbike ergonomics, while being a few kg lighter than the Duke. 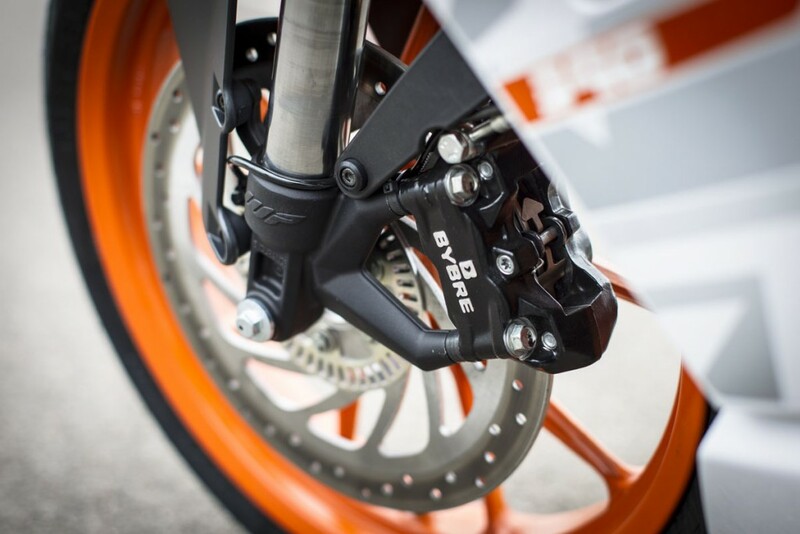 KTM’s 2017 RC 390 shares the Duke’s chassis and powerplant but offers a significantly different ride thanks to a few ergonomic and geometry tweaks. 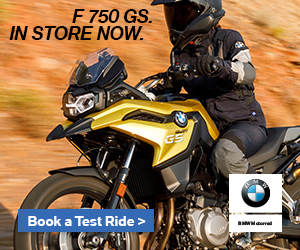 It shares the 373.2cc capacity engine that really punches way above its size, with an oversquare 89mm x 60mm bore x stroke and a high 12.5:1 compression ratio. 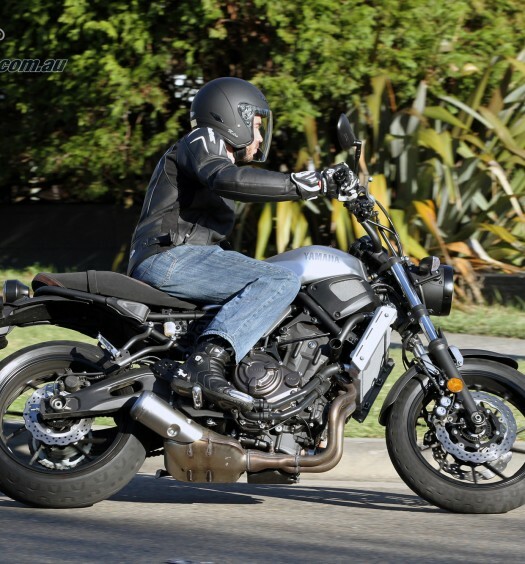 In fact the liquid-cooled four-valve DOHC single puts out an impressive 44hp and 37Nm of torque. 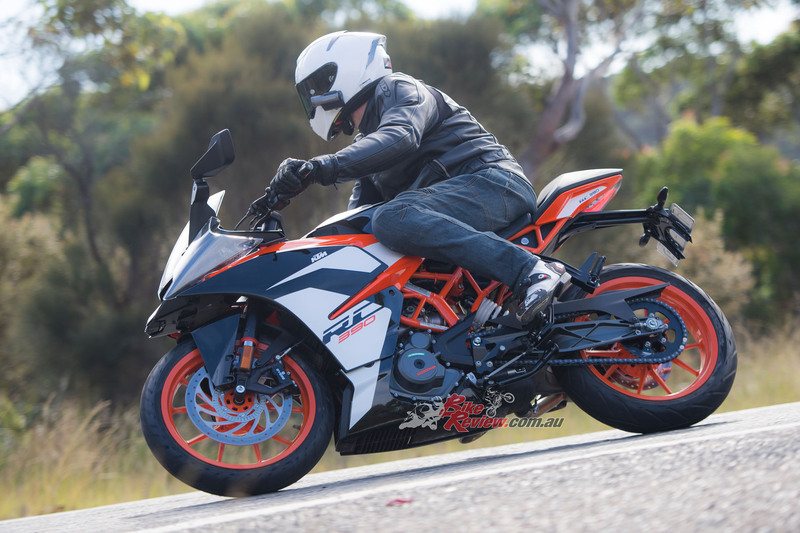 With a dry weight of only 147kg, a close six-speed gearbox and a slipper clutch, the RC is a cornering machine. 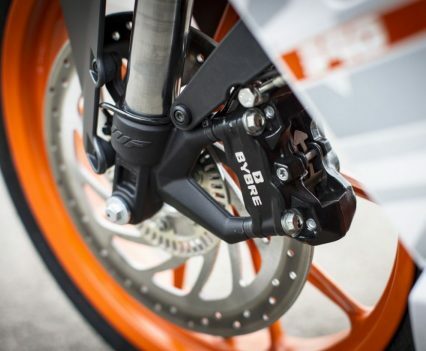 This year saw a few key improvements to both the 390 Duke and RC 390, but more so to the naked Duke. 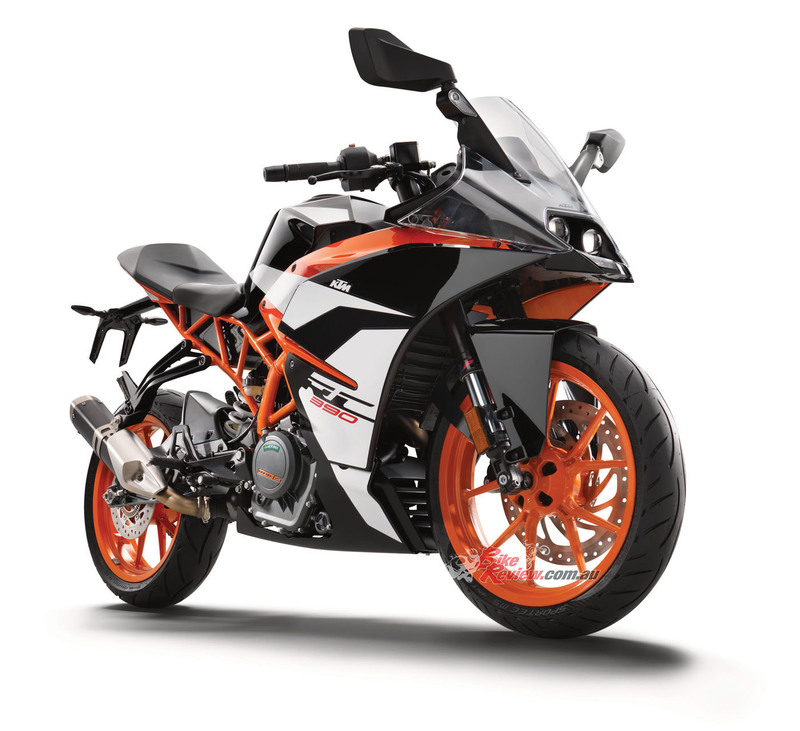 Although the RC 390 did not get the big makeover like the Duke, it did get styling and graphics updates to the already cool looking Kiska Design. The bike also meets Euro4 and has a full RbW system, more of a Moto3 look, a 320mm front rotor, LED taillight and adjustable levers. 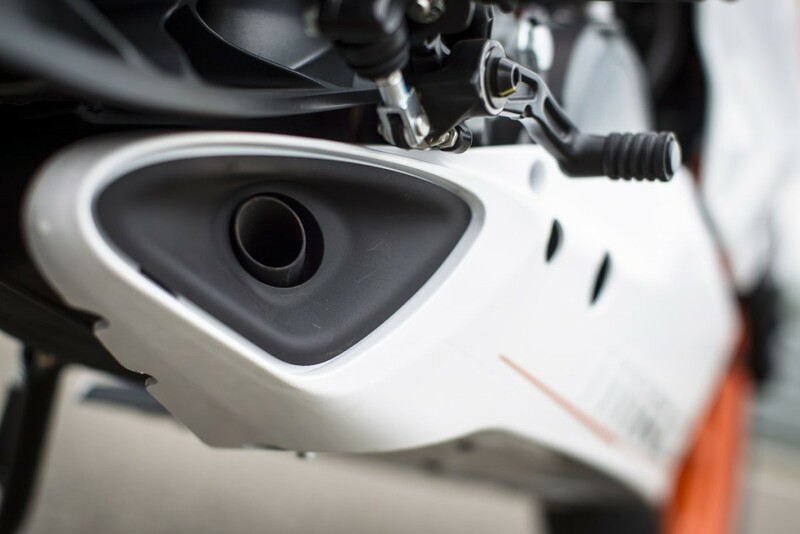 The 2017 RC 390 features updated graphics, front brake and full RbW. 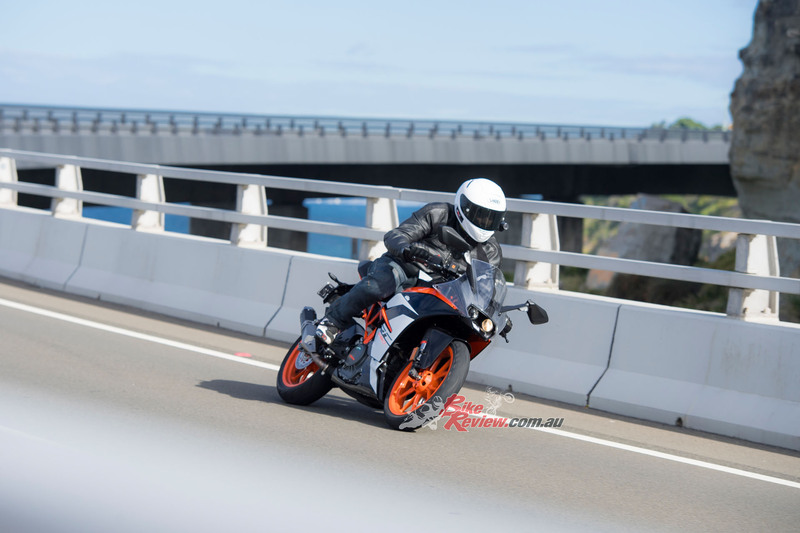 The RC 390 is a seriously cool little sportsbike. I grew up learning to ride in the heyday of wild two-stroke 250s, like RD LCs, RZs, RGs, RGVs and I tell you all modern small capacity four-strokes are boring compared to those bikes. With that said, there are some out there that are still rewarding, exciting and have that fun X-Factor, and the RC 390 sits on top of that pile. 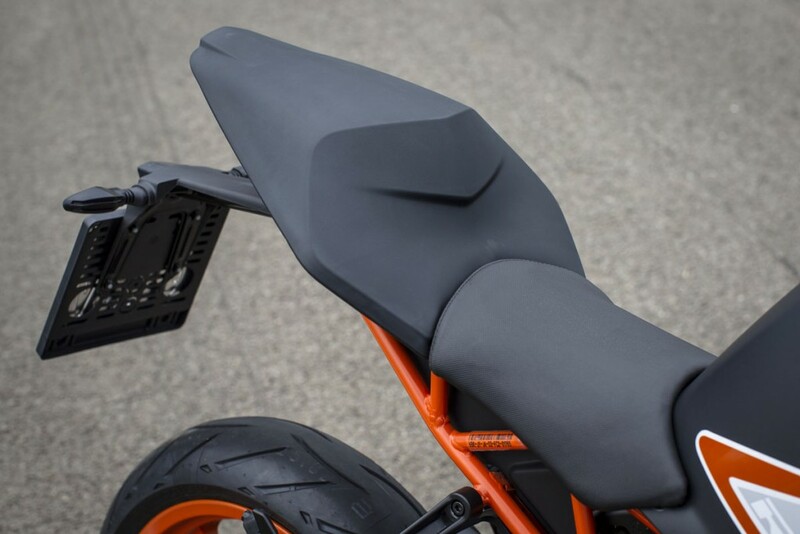 The RC 390’s seat height is tall at 820mm, but the seat is more comfortable than previous iterations. 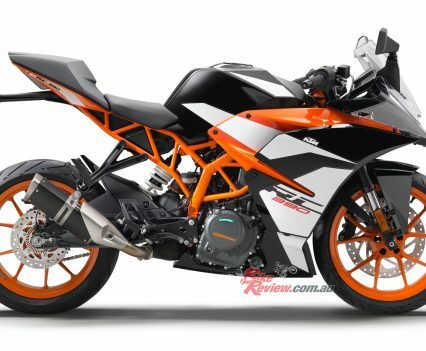 It has a high 820mm seat height, long low sporty reach to the clip-ons and a narrow, Moto3 riding position and feel between the knees. If I was still 17, I’d feel like I was Brad Binder up the Old Road on a Sunday, just add Red Bull! 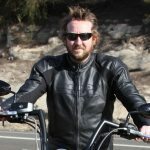 Engine-wise, everything is the same as the Duke, right down to primary and secondary gearing. 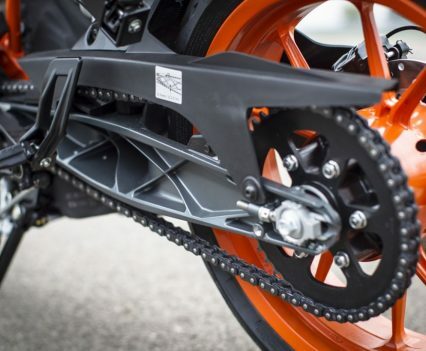 So you get that awesome performance, with a chassis and ergonomics suited to the rider who, like me, may be a boy racer caught in a 42-year-old kebab eating beer swilling man body. Until the visor comes down that is, when I become Brad Binder. Or maybe his dad… LOL. The RbW system is fantastic, offering smooth power and transitions onto and off throttle. The RbW system is fantastic, with glitch free throttle operation from idle to beyond the 9000rpm peak. 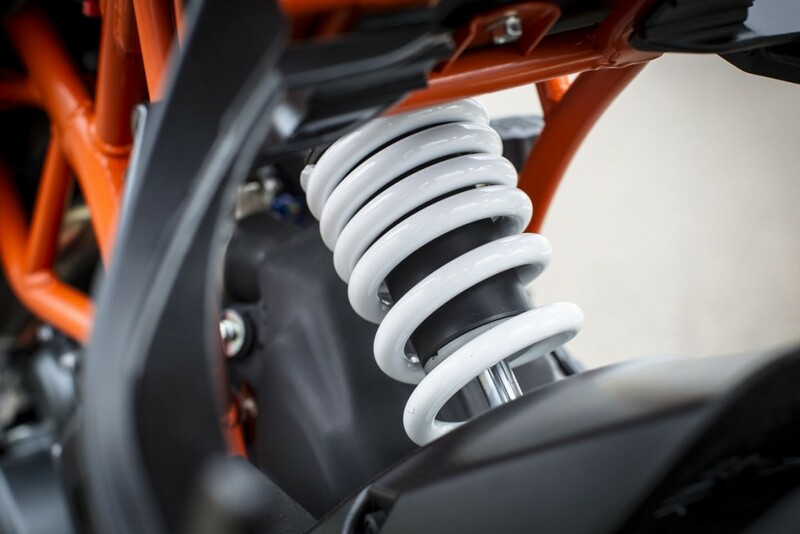 The engine is smooth and vibe free for a single, and one of the most refined feeling small singles around ­– which is no surprise given KTM’s experience and the lineage of this LC motor. 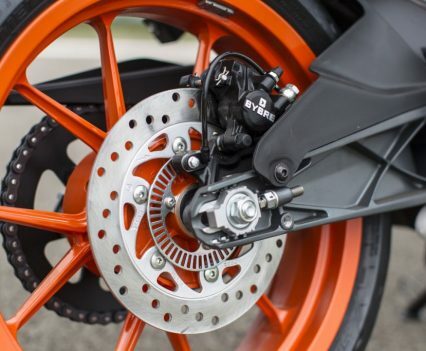 As the revs rise the flat but seemingly limitless torque ensures there is plenty there for passing in traffic, with the bike even happy to oblige lazy gear changing and short-shifting, responding like it is a multi or a twin, or a 600cc-plus single. 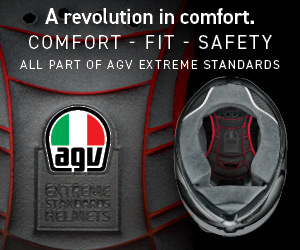 A smooth clutch action and great slipper allow plenty of corner speed to be easily carried. 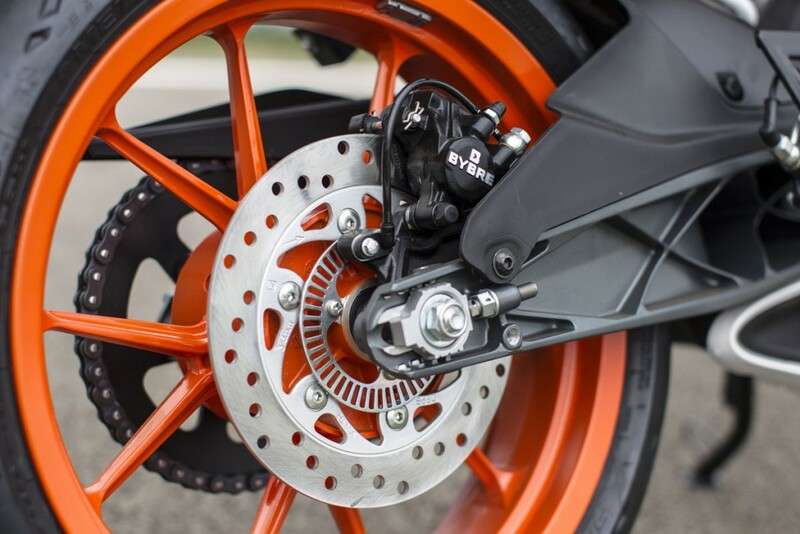 The clutch is smooth in operation and take up, plus light in action, while on rapid downshifts the slip into turns allows for stupid corner speed. The ratios are really nicely matched to the engine and although the gearing is tall, amazingly, the single has the mumbo to handle that and the result is, combined with a high rpm ceiling, long gears and not too many gear changes. 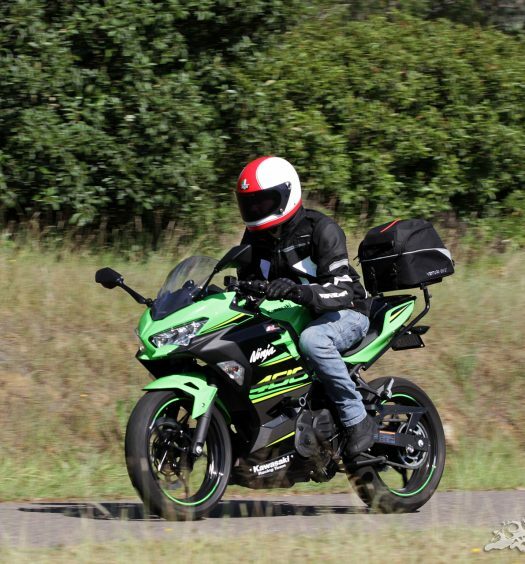 In fact, it is just as rewarding to carry corner speed and lazy gears as it is to keep the revs up and dance on the gearlever. Both fun, choose your style and go for it. It would be a fantastic engine in wet weather… particularly on a circuit. 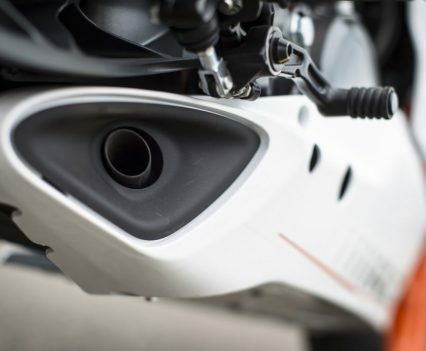 The bike runs red hot, with the thermo fan on 90 per cent of the time, but it was never an issue and the fan does a good job regulating the temperature. There is also minimal heat around the legs, which is a good thing particularly in the Aussie summer. 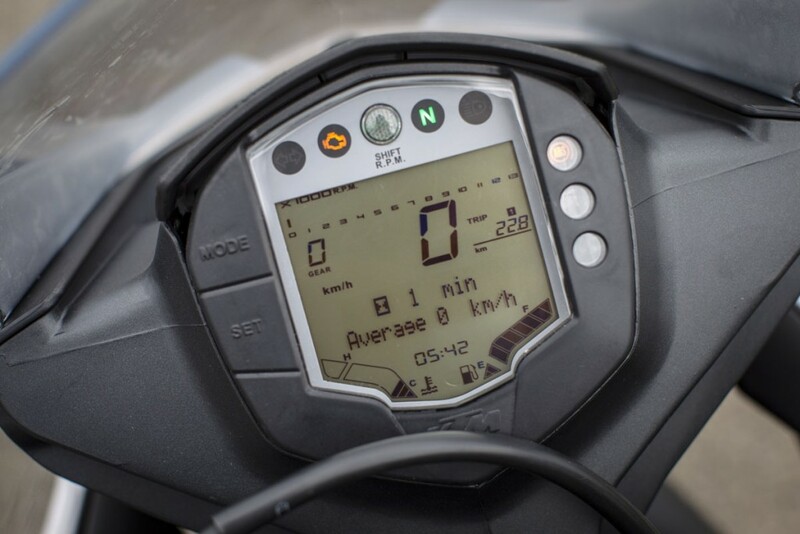 With the performance on offer for a relatively small powerplant, the thermo fan is very active, however heat is not an issue for the rider. 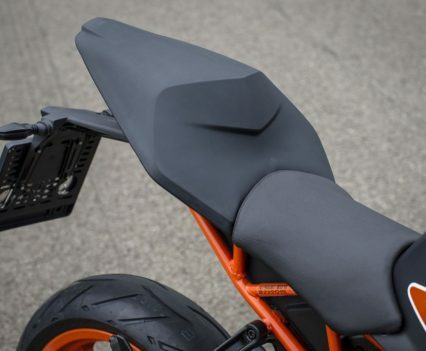 The handling is quite different to the 390 Duke, with the sharper geometry livening things up a bit into the corners, and the combo of the seating position and more weight on the bars, the RC feels quicker into turns but does require more effort, which is exactly opposite to what it should do on paper. 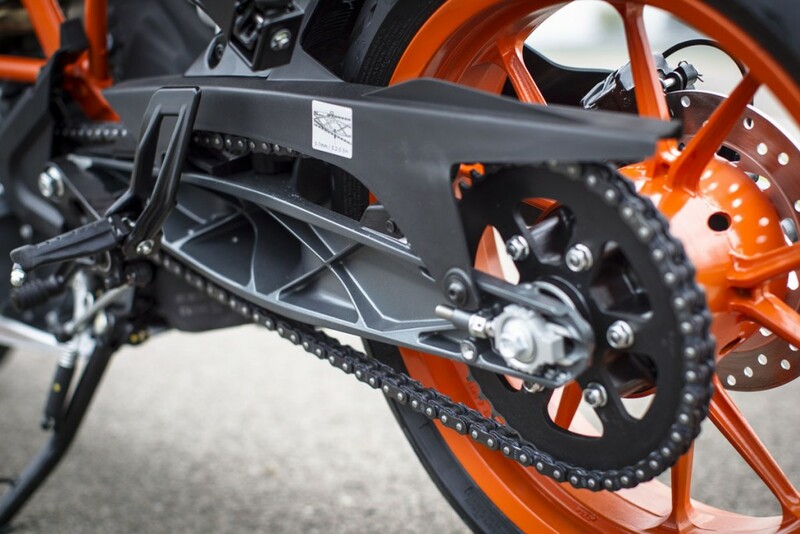 It’s just the nature of the leverage on the clip-ons and the sporty position, but once in the turn the RC feels more at home while carrying high lean angle and corner speeds. It also feels good braking deep into turns and the 320mm rotor means there is minimal effort required at the lever, good feel and plenty of fade free power. 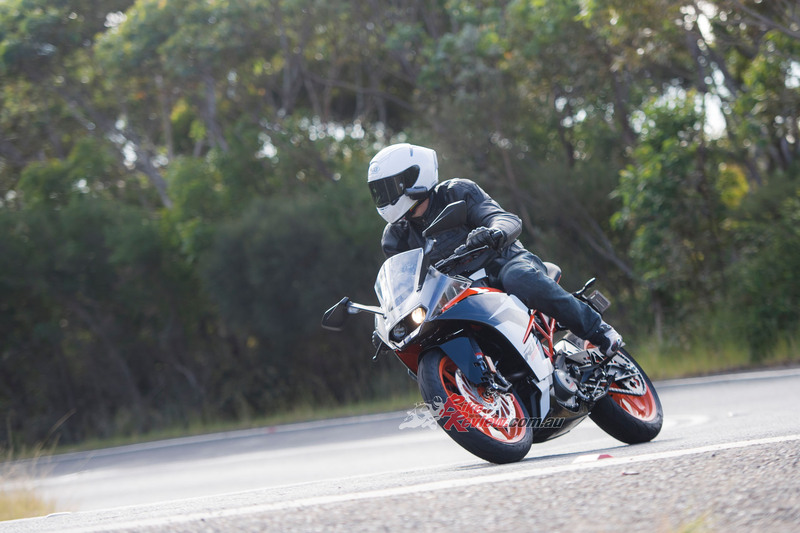 The RC 390 also feels noticeably quicker into turns but does require more effort. Once on its side however it feels more at home at higher lean angles than the Duke. The high-end Bosch ABS system is good, as I didn’t feel it at all! 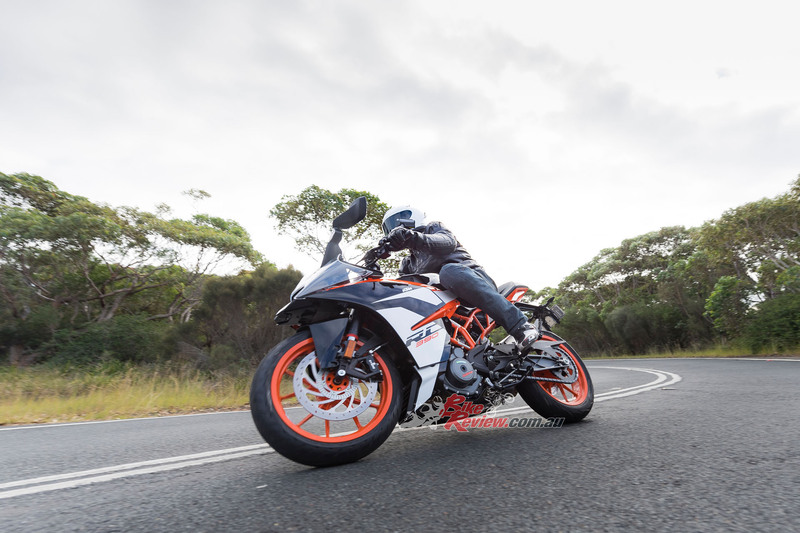 Back to lean angle, one thing I noticed about both 390s is that the way they are, they don’t need huge lean angle to get through a turn, another good point for the learner rider – leaving plenty of spare clearance and rubber for an emergency situation. Having also ridden the 390 Duke, the RC 390s dash feels a bit dated! 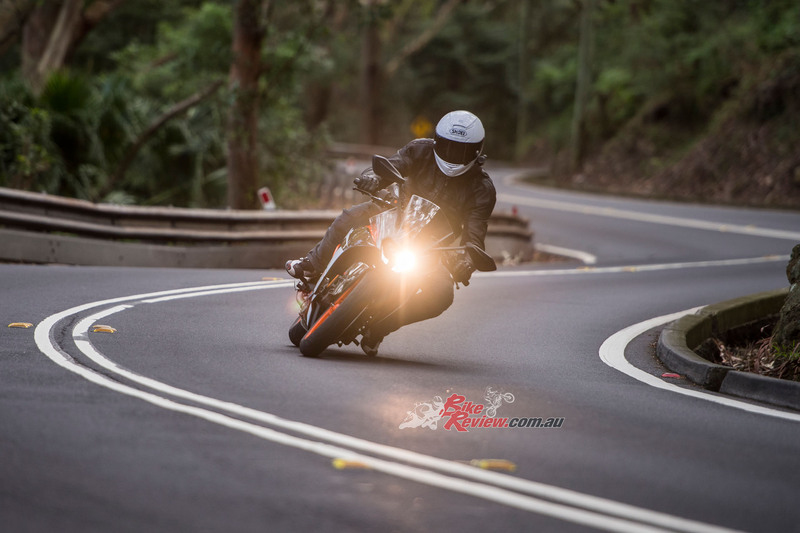 Comfort is great on the RC 390, with a soft seat and a riding position that works in traffic, where lots of head checks are needed, or head-down bum-up in the twisties. 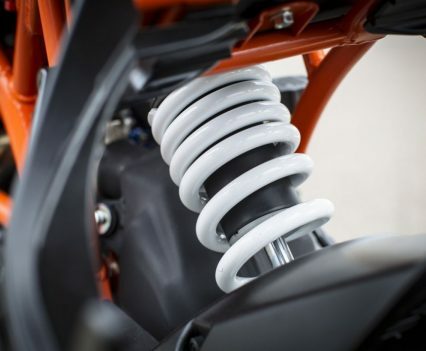 Like the Duke, the WP suspension is a good overall set-up, that although not perfect in any particular area is more than impressive over a wide range of surfaces and situations. 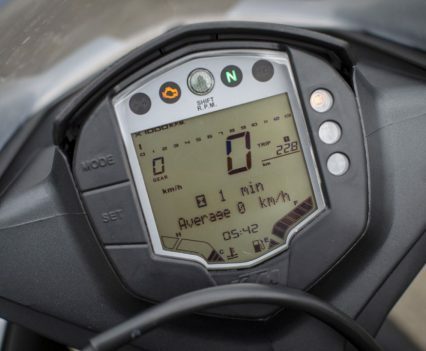 The only thing I wanted on the RC that is a feature on the Duke, is the trick TFT dash, as the RC LED display is already looking old fashioned. The 2017 KTM RC 390 is well worth looking at it you’re after a smaller capacity LAMS option, like in the 300cc region, or alternatively if you’re after 600 LAMS performance in a lighter package.